General Motors said it will pause production for nearly two months at its plant in St. Petersburg, Russia as car sales across the country drop in response to an economic slump. 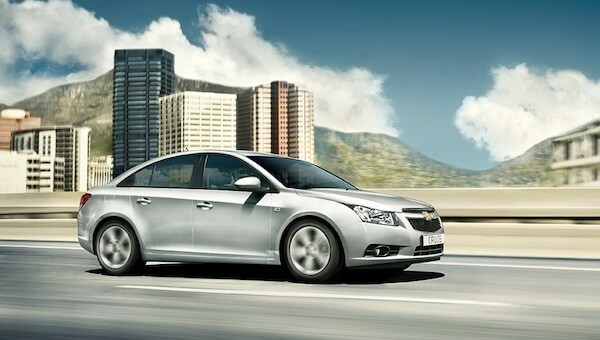 The plant builds the compact Opel Astra and Chevrolet Cruze, which have traditionally been among GM’s most popular in the Russian market. GM’s business in Russia involves selling three brands, including Chevrolet, Opel, and Cadillac. It also has a 50 percent joint venture that produces the Chevrolet Niva small SUV. The slumping demand is the result of a rapidly-collapsing Russian Ruble amid the continued dispute over Ukraine. The scenario is believed to be costing the entire auto industry doing business in the country hundreds of millions of dollars. In 2014, GM sales fell about 28 percent in Russia, according to a European trade group. Industry-wide sales in Russia fell 10.3 percent in 2014 to 2.49 million units, but rose 2.4 percent in December 2014 as consumers rushed to spend rubles as the currency’s value sank. In response, GM temporarily suspended vehicle sales to dealers and increased vehicle prices. Unfortunately, the outlook isn’t better for 2015. Joerg Schreiber, chairman of the Association of European Businesses Automobile Manufacturers Committee, said in January that Russian auto sales are forecast to fall 24 percent in 2015 to 1.89 million vehicles. GM isn’t the only automaker halting production operations in the country, as Ford, Volkswagen, and others have adjusted their manufacturing operations to meet the lower demand for cars, including Ford, Volkswagen, and Nissan.